Federation’s Business and Professional Division (B&P) recently launched an interactive breakfast networking series for like-minded community members who want to help each other succeed in business, as well as make an impact through philanthropy. 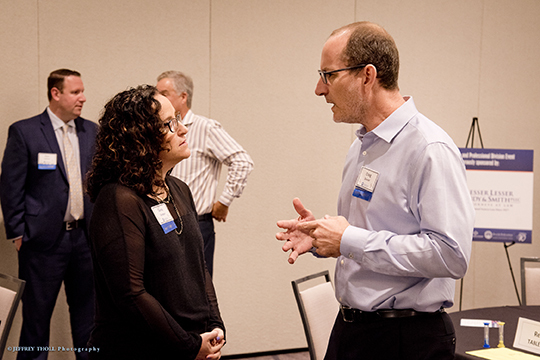 A well-attended inaugural event, chaired by Elyssa Kupferberg and Gary Lesser, was held on October 27 at the Marriot Boca Center. Thank you to our event sponsor, Lesser, Lesser, Landy & Smith. The next breakfast networking event will be held on December 1, 2017. For more information, please contact Sonni Simon at SonniS@bocafed.org or 561.852.3128.